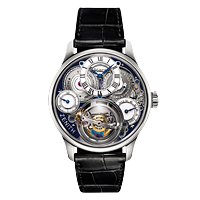 Founded in 1865 by Georges Favre-Jacot in Neuchatel, Switzerland, Zenith has been beautifully hand crafting luxury Swiss watches for over 150 years. 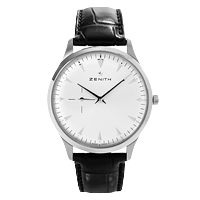 Zenith watches have graced the wrists and pockets of historic figures like Mahatma Ghandi, Prince Albert I of Monaco, Norwegian explorer Roald Amundsen who was the first to travel to the North and South Poles, and Felix Baumgartner during his record-breaking supersonic skydive in 2012. 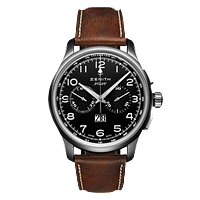 In 1909, Zenith pioneered the concept of aviation-specific timekeeping equipment with the first pilot’s watch and a series cockpit instruments including altimeters and stopwatches. 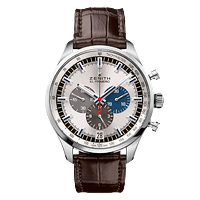 In 1969, Zenith made headlines again as the first manufacture to successfully produce an automatic mechanical chronograph accurate down to 1/10th of a second, a feat that had long eluded even the biggest names in the industry. 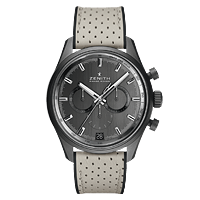 This movement became known as the El Primero, and it has since been used in a number of eponymous in-house pieces as well as in early Rolex Daytona models. 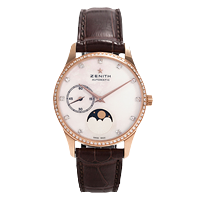 Today, Zenith continues to set the pace of precision luxury watch design and manufacturing with cutting edge models for both men and women, including the Academy, the Elite, and a number of Limited Editions.